As most people with acne – prone, sensitive, oily skin who lives in hot and humid South East Asia, hydration really isn’t much of a concern. I was also one of those youngsters, trying to combat occasional hormonal acne with salicylic acid or tea tree oil. Having introduce new products into my skincare such as CosRX Salicylic Acid cleanser in Singapore, as well as having The Body Shop Tea Tree Skin Clearing Facial Wash in Indonesia, my skin got much dryer. My perspective is that as i got older, my skin is more sensitive to products that i use on my face and my body. Since i came back to South East Asia from Switzerland, i showered more often due to the heat. Therefor my arms and legs are also dryer. Here are some hydrating products that i’ve just started including into my skincare. Exclusive oat oil-infused formula enriched with natural shea butter helps relieve and soften extra-dry skin. Although both products oat and shea butter are in the list of ingredients, the scent is similar to almonds instead. The consistency are extremely similar as well. While looking at both of their ingredients list, there are alcohol and dimethicone in it. If you are allergic to silicones, just be aware. 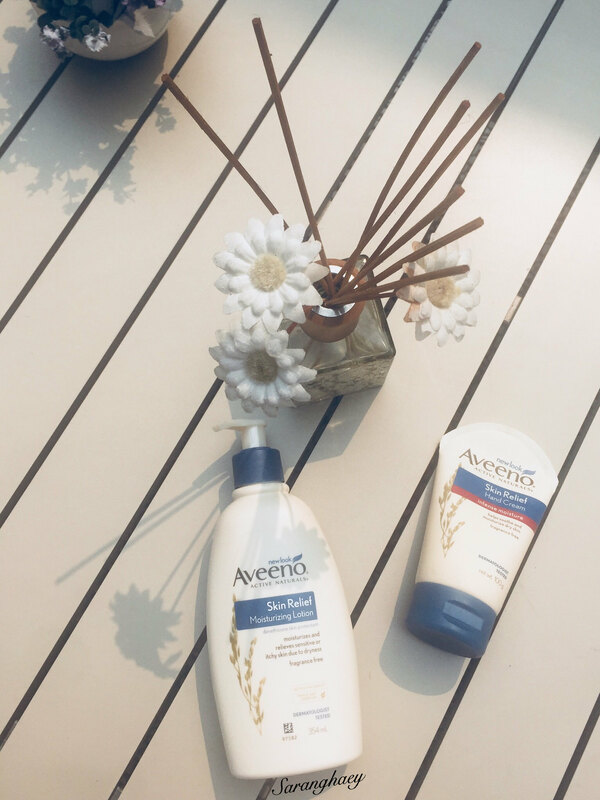 Compared to my favourite L’Occitane hand cream, the Aveeno hand cream is definitely lighter in consistency. It drys down faster, making it easier to touch things after. Three-calming Complex soothes and protects skin. 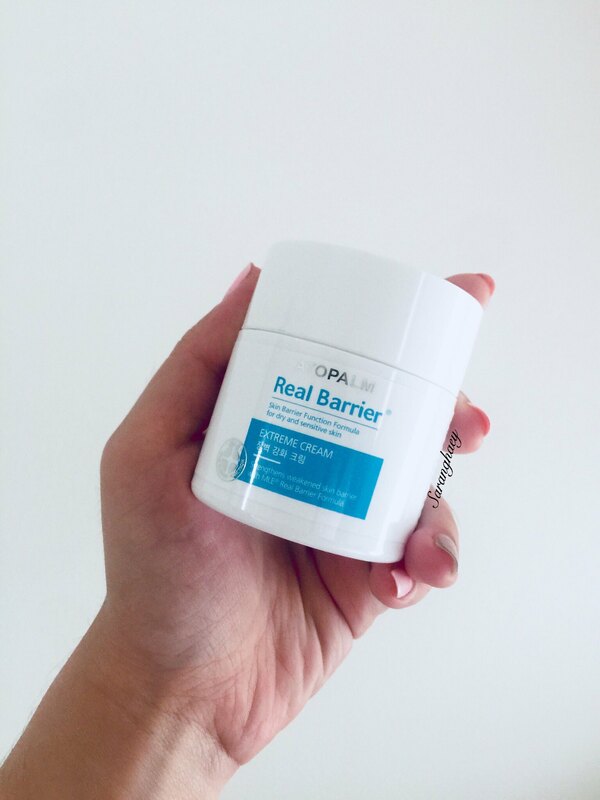 The complex blend of panthenol, madecassoside, and allantoin protects skin from the harmful external environment. The texture of this cream i s pretty thick at first, but extremely easy to spread onto the skin. I’ve started using this for a few days during both during night time and day time, and having them during the night time would be more suitable as it might cause foundation to not stay as long. WATER, CAPRYLIC/CAPRIC TRIGLYCERIDE, BUTYLENE GLYCOL, CETEARYL ALCOHOL, GLYCERIN, PROPANEDIOL, PANTHENOL, STEARIC ACID, GLYCERYL STEARATE, POLYGLYCERYL-10 DISTEARATE, ACETYL DIPEPTIDE-1 CETYL ESTER, BIOSACCHARIDE GUM-1, SORBITAN STEARATE, OLEA EUROPAEA FRUIT OIL, HYDROGENATED VEGETABLE OIL, VISCUM ALBUM FRUIT EXTRACT, DIMETHICONE, MADECASSOSIDE, SODIUM HYALURONATE, MYRISTOYL/PALMITOYL OXOSTEARAMIDE/ARACHAMIDE MEA, DIHYDROXYISOPROPYL PALMOYLPALMAMIDE, PHYTOSTEROLS, ALLANTOIN, TOCOPHERYL ACETATE, CARBOMER, 1,2-HEXANEDIOL, CAPRYLYL GLYCOL, LAVANDULA ANGUSTIFOLIA OIL, CITRUS AURANTIUM DULCIS OIL, VETIVERIA ZIZANOIDES ROOT OIL.